On 25 May 2018, the European Union’s General Data Protection Regulation (GDPR) comes into effect. It is broad, complex and imposes strict new regulations on how you manage and protect personal data. It also introduces much stiffer penalties for data breaches – up to €20 million or 4% or annual global turnover, whichever is higher – that could finish many small businesses. And since it affects every organisation, wherever it is based, that handles data about EU citizens, your business will have to comply. You may feel there is a daunting gap between your current systems, and the levels of governance, transparency and accountability you will need to comply. We will help you find your way across, and get your business on a safe, secure footing. Our GDPR Compliance Programme provides a simple, affordable way to meet your new obligations, without making wholesale changes to your everyday operations. Our step-by-step approach uses well-established methodologies that integrate seamlessly with other management systems based on the ISO standards. It is backed by 20 years of experience in data protection – and because it is designed specifically for small businesses, it does not require a large project team to manage it. As well as ensuring you can meet the May 2018 deadline, the Programme looks beyond it, with updates designed to help you reap the wider business benefits of GDPR compliance. A greater understanding of your data, and the associated risks and security controls, can reduce your costs and enhance your reputation long-term. The GDPR Compliance Programme has been developed by Tom Crellin, a certified GDPR practitioner who has worked in the field since the original Data Protection Act came into force in 1998. 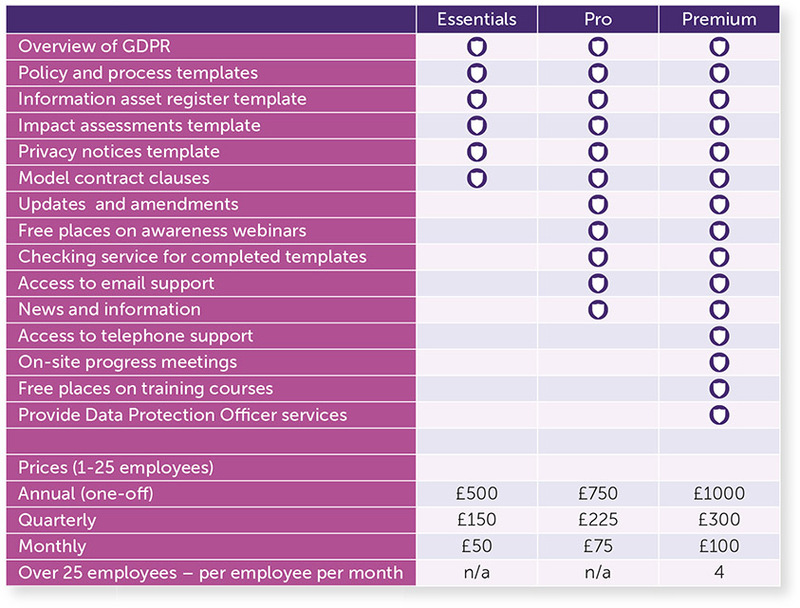 To discover more about our GDPR compliance programme and find out which level of support is suitable for your business, call us now on 01825 768980 or contact us. It was always a pleasure working with Tom, without his expertise and drive I don’t believe the internet bank project would have been where it is now. Someone who can be trusted and relied upon, and who would go the extra mile to get the job done. I hope to work with Tom again at some point in the future. The course was well delivered, especially given the complexity of the topic. I came away with a plan!